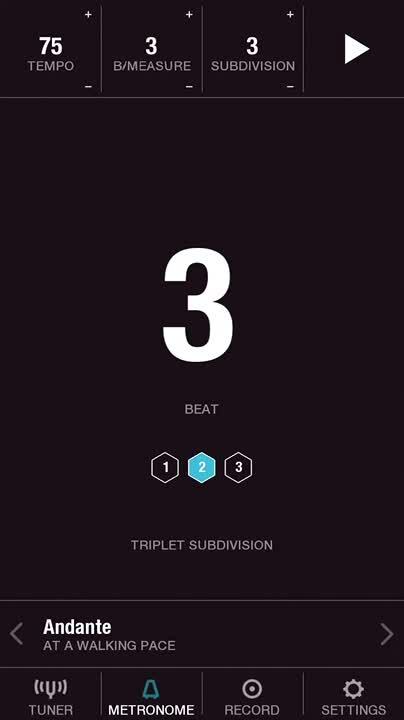 An all-in-one visual toolkit for musicians from the creators of NodeBeat. 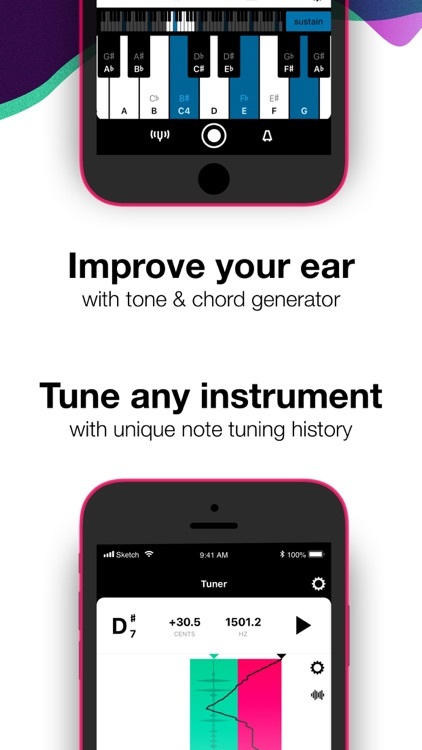 Join over a million musicians and improve your playing with Tunable: Music Practice Tools. 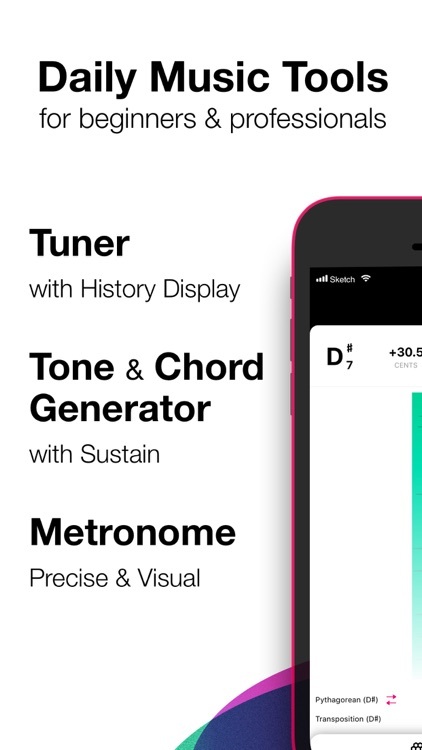 More than a chromatic tuner, tone & chord generator, metronome, and recorder, Tunable is a music practice coach that can help you play steadily, in tune, and on beat anywhere you go. Jam-packed with features to help with ear training, breath support, rhythm, timing, and dynamics, Tunable is easy to use yet feature-rich. 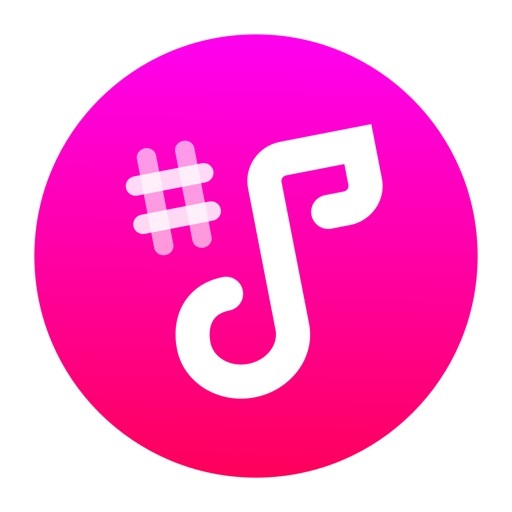 Tunable tracks your playing habits and gives feedback to help you improve. 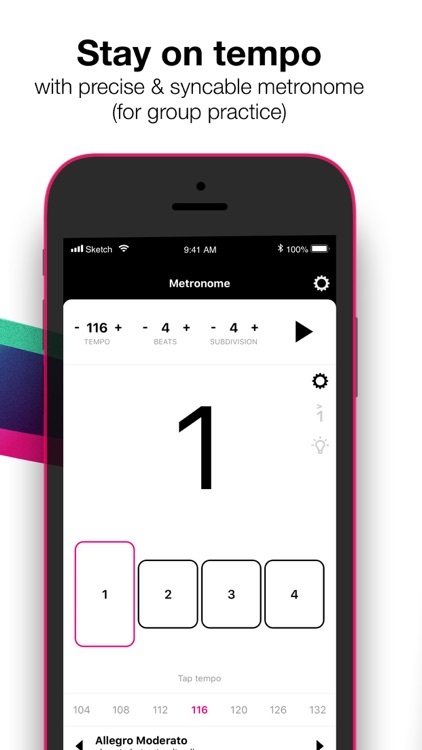 Equipped with a unique “tuning history” display for viewing pitch as you play, an easy to use metronome and a handy audio recorder, Tunable is the perfect toolkit for beginning to professional musicians. 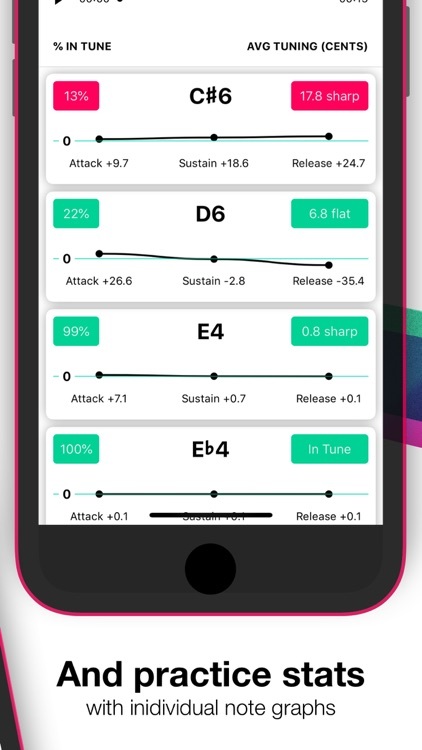 Grab Tunable today and use in your next practice session, group rehearsal, band class, or live performance. 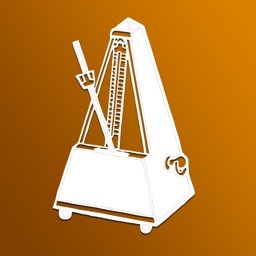 It’s ideal for AppsGoneFree users who are interested in keeping their instruments, and their ears, in tune. 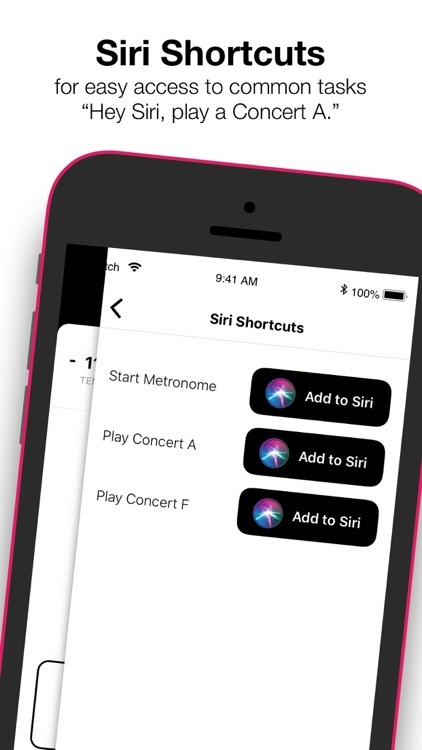 If you’re iDevice doesn’t have a built-in mic, Tunable is going to be of little use to you. 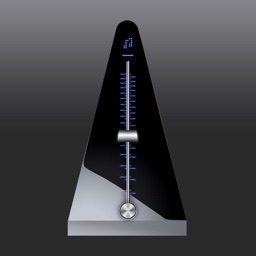 It’s absolutely necessary for the tuning feature, but you can still utilize the metronome and chord generator. 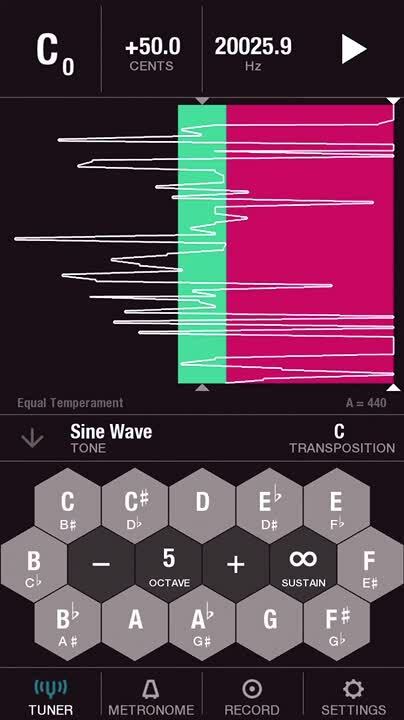 Musicians of all types will absolutely love Tunable thanks to its many different tools and customization options. You don’t need to be pro to utilize it, but you can be. • It's like a music instructor in your pocket. 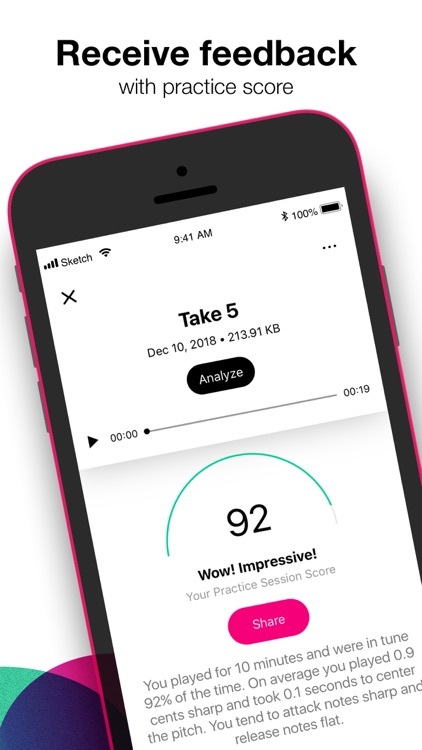 Record a practice session and get a practice score with note graphs to help summarize your playing. • Visualize how steadily you play or sing. The straighter the white line, the more consistent the pitch. 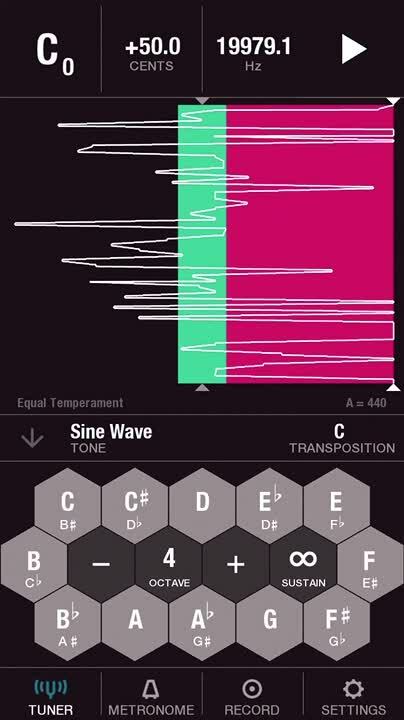 • Use the tone and chord generator to play and sustain chords with various tone options. 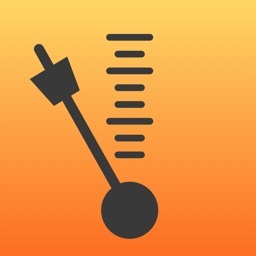 Toggle between different temperaments to hear how they compare. 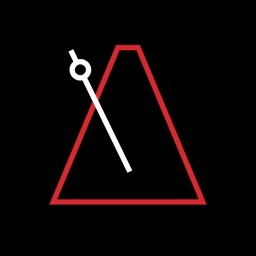 • See the pulse with a visual metronome. 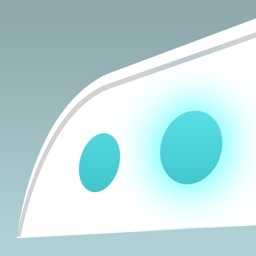 View subdivision and current beat, with a large display and (optional) visual flash. • Record practices and performances. 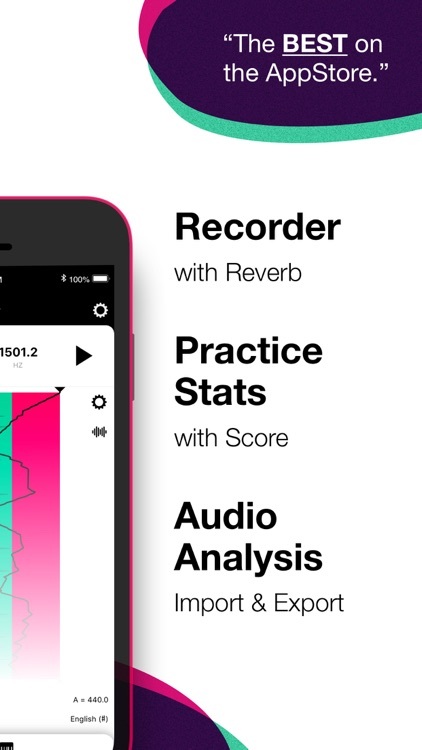 Add reverb for a professional sound. 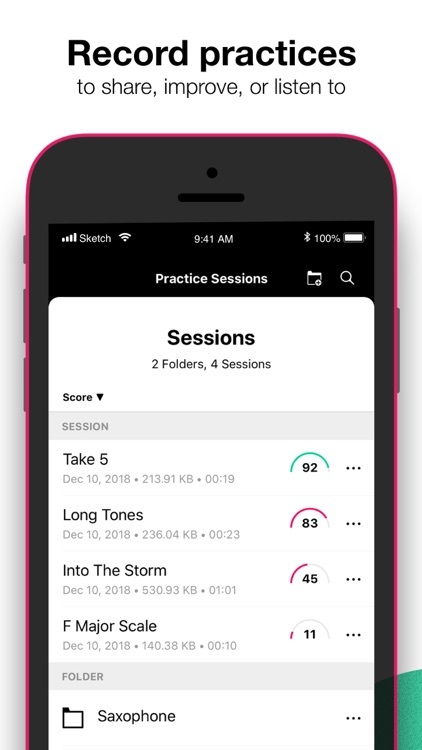 Share recordings with family, friends, and teachers. 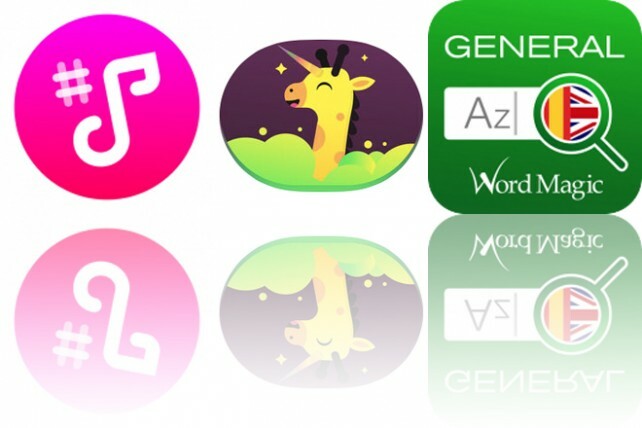 Today’s AppsGoneFree list includes a music app, a sticker pack, and a language app. 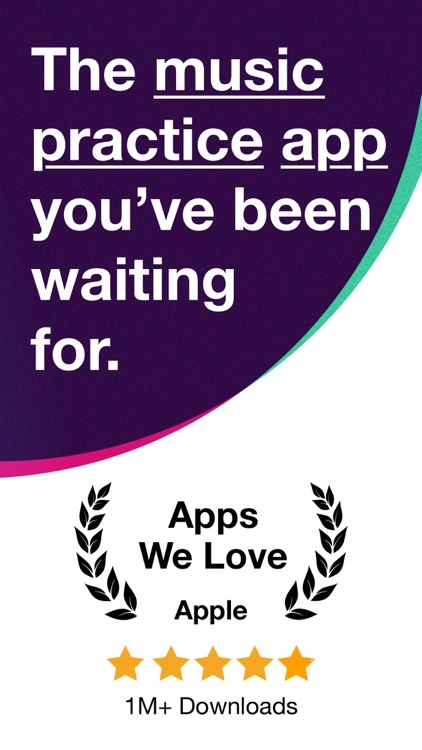 Today’s AppsGoneFree list includes an app for musicians, a relaxation app, and a finance app.